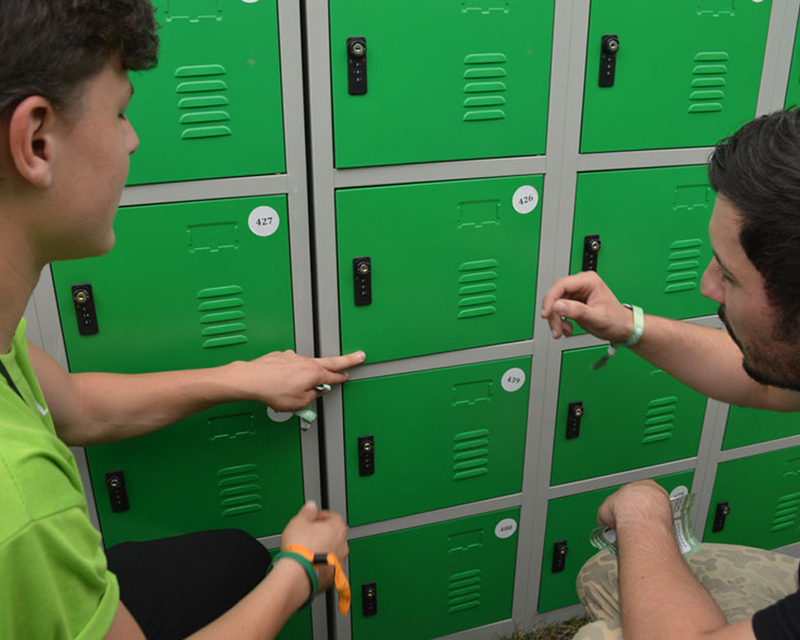 We provide festival locker hire with security lockers, guest cloakroom lockers, staff lockers for backstage and phone charging lockers for secure charging (great as a back-stage service or perhaps for glamping guests). 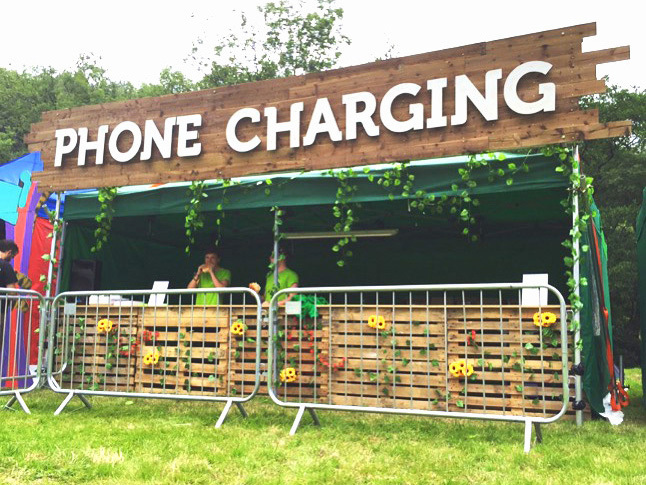 We can also provide a great looking set-up to sell power banks to keep festival goers powered up and in contact 24/7. Delivering a great guest experience is really important to us and we do our utmost to provide a professional, friendly, fun service all presented from a great looking set-up. 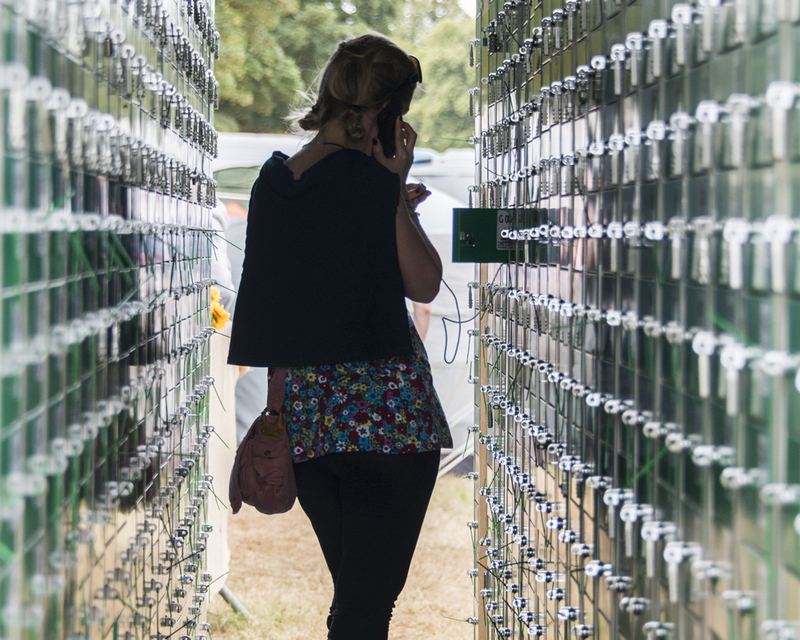 Security or Cloakroom lockers are becoming more and more popular on the festival circuit as they provide guests with somewhere safe to keep all of their valuables. For one day festivals they also provide a great place to leave spare clothing, sun-cream, umbrella’s , picnics or anything else that guests don’t want to carry around all day. Our Security/Cloakroom Locker Hire service can be fully managed by our friendly staff and we even offer a VIP service for Glamping areas that really looks the part. Alternatively you can rent lockers on a dry hire basis where you provide the staff and we provide all the information you need to manage your locker hire efficiently. We can also provide our guest cloakroom lockers on a revenue share basis – meaning we provide the full set up with staff for free and you get a percentage of the total sales. A great way to encourage use of this service and increase revenue is through promoting on-line pre-sales which can be done via the e-commerce page on our website. Providing somewhere safe for all of your staff and artistes to store their valuables is becoming increasingly important. Knowing that their belongings are safe means that they are free to get on with their work without worry. Lockers are also a great place to get staff to leave their mobile phones if you prefer that they don’t use them on site. Our backstage Locker Hire service can be fully managed by our friendly staff, and we even offer a VIP service for Artistes that really looks the part. Alternatively you can rent the lockers on a dry hire basis which means that we deliver the lockers and you handle the management – we can advise you on the best way to do this.